James “Jim” William Cassarly, age 77, of Mechanicsburg, was unexpectedly reunited with his loving wife on Monday, April 8, 2019. Jim was born on Tuesday, April 15, 1941 in Altoona to the late Eugene Luke Cassarly and Esther Clara (Tate) Cassarly. Jim was the widower of Suzanne “Sue” (McCormick) Cassarly, whom he married on October 28, 1961, and who died on January 17, 2017. In addition to his parents and wife, Jim is preceded in death by his brother, Jack Francis Cassarly; and his brother-in-law, Thomas Ollinger. Jim’s survivors include his four children: William “Bill” Cassarly and his wife, Mary Sue, of Wooster, OH; Mary Jo Burnett and her husband, Jeff, of Shrewsberry, PA; Robert “Bob” Cassarly and his wife, Melanie, of Elmira, NY, John Cassarly and his wife, Tammy; his nine grandchildren: Jason and his wife Lucia, Matthew, Gregory, Samantha, Christy and her husband Zeke, Lauren, Jared, Olivia, Ellie; his two sisters: Joy Ollinger and Jane Roland and her husband, Dennis; his sister-in-law, Diane Cassarly; and several nieces and nephews. 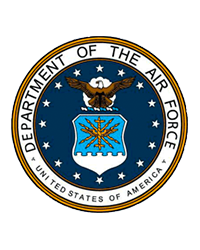 Jim served in the United States Air Force and was a member of the West Shore Elks Lodge #2257, the American Legion Post #109 in Mechanicsburg, and life member of The Mechanicsburg Club. He worked at several companies in the connector industry, including AMP, Elco Corporation, and Burndy Corporation where he retired as the Director of Engineering. Following retirement, Jim began his own company, Cassarly Enterprises, which was the parent company for numerous rental properties and the well-known Artisan Stone located on South York Street in Mechanicsburg. Jim could make something out of nothing and loved to renovate motorcycles and cars. He was an avid motorcycle rider and loved his restored 1938 Harley Davidson and his 1960 Corvette. Jim had the best sense of humor, he was always supportive and did not judge. His opinions were kept mostly private but his love for his family and friends was generously shared. Jim’s kindness and caring resulted in Jim having many long-time friends. His “Breakfast with the Boys” club, as Jim’s wife called it, his Friday happy hour and dinner group, and his pulmonary therapy group were just three examples of these deep and meaningful relationships. Jim will be forever loved and deeply missed by so many. 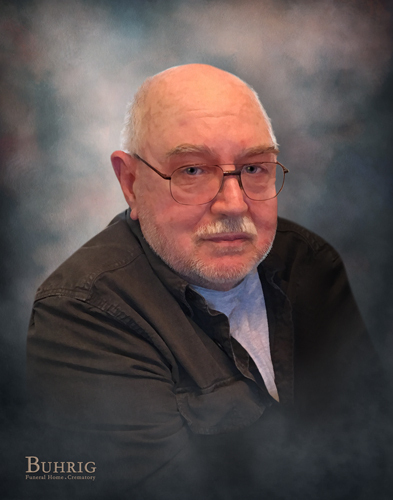 All are welcome to join Jim’s family for a time of food and fellowship on Sunday, April 14, 2019, from 1:30 p.m. until 3:00 p.m. when a time of remembrance will begin at The Mechanicsburg Club, 333 Heinz Street, Mechanicsburg, PA 17055; with Celebrant George Spangler officiating. Cremation was private. Jim’s family has entrusted his care to Myers – Buhrig Funeral Home and Crematory in Mechanicsburg, (717) 766-3421. Read Jim’s full obituary, view his memorial video and portrait, and sign his official guest book at Buhrig.com.